PowerHouse Jet Keeps Storm Track Active. 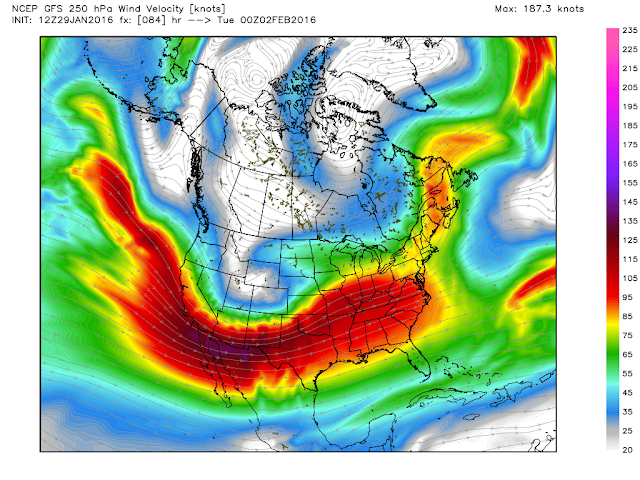 This Mornings 12Z/5 AM MST GFS 250 MB (34,000' MSL) Jet Stream Analysis. A powerhouse of a jet stream (as depicted by the graphic above at the 34,000 foot level) is currently slicing across the Pacific Ocean. 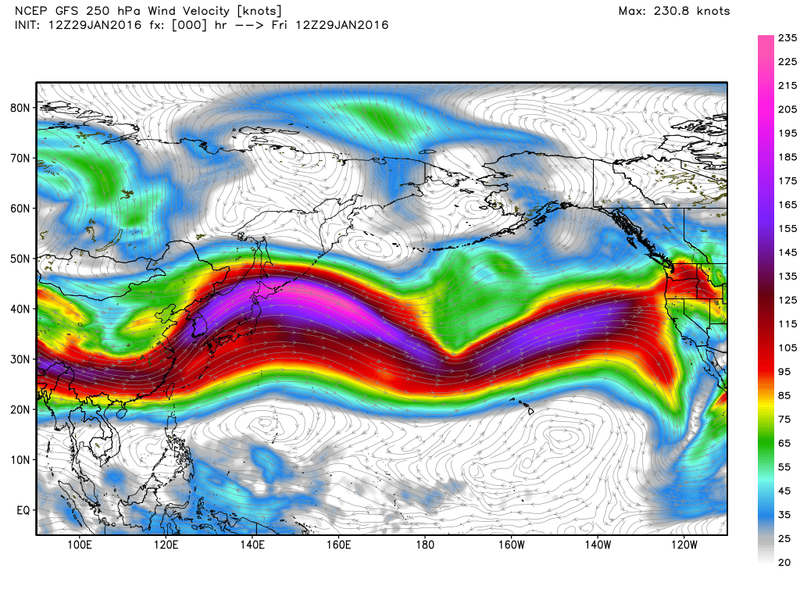 A jet stream wind speed max of 231 knots or 266 mph is shown just north of Japan. 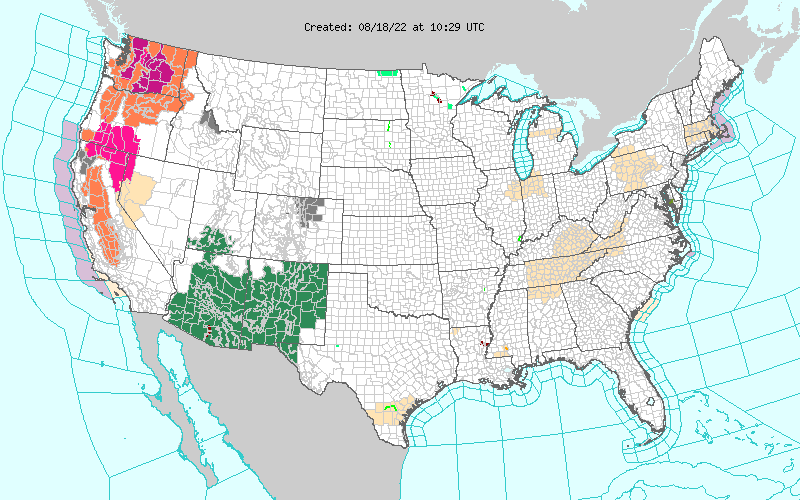 These really fast winds speeds in the jet stream contain a lot of energy or lift which is forming some potent storms which cycle eastward from Japan to the Gulf of Alaska and the Pacific Northwest US Coastline. So in short the jet stream continues to help produce some powerful winter storms out over the Pacific Ocean (in this very strong El Niño winter) which eventually slam into the Western US Coastline. 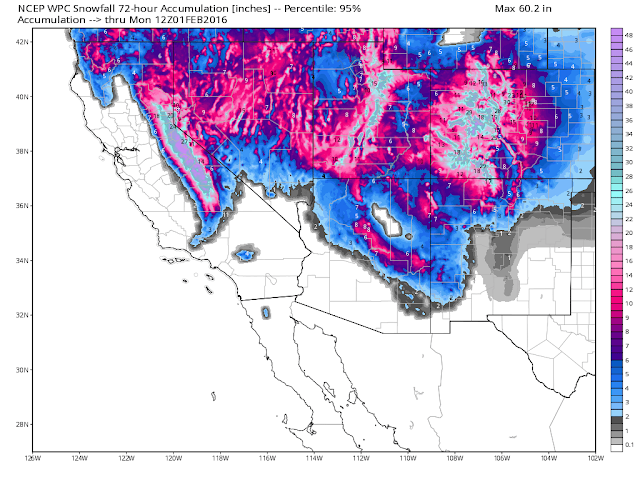 Powerful Winter Storm Headed To New Mexico. 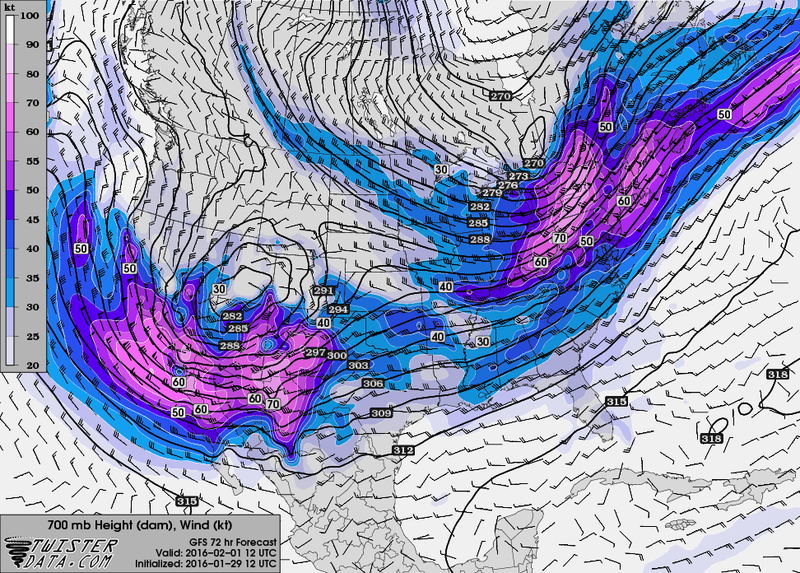 This Mornings GFS 250 MB (34,000' MSL) Jet Stream Forecast. 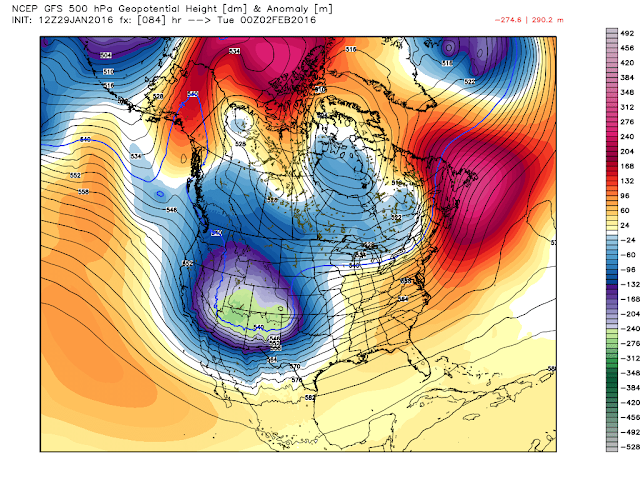 This Mornings GFS 500 MB "Heights" Forecast. 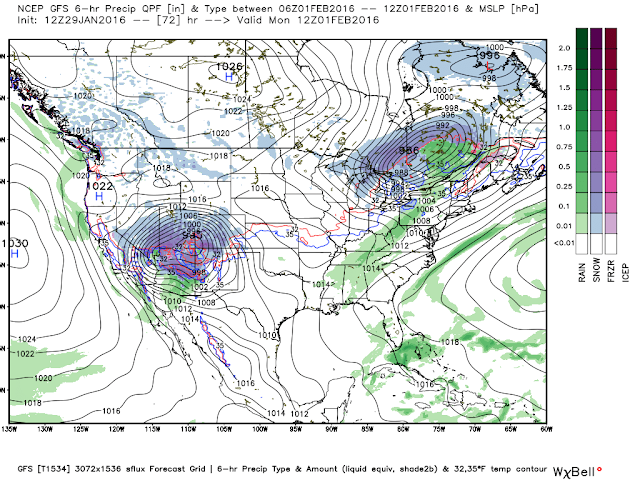 A potent mid-upper level winter storm was approaching the Pacific Northwest Coast early this morning. This storm is forecast to dive southeastward and by around sunrise Monday morning be centered near souther Nevada. Forecast models then swing it eastward across New Mexico Monday into Tuesday morning. 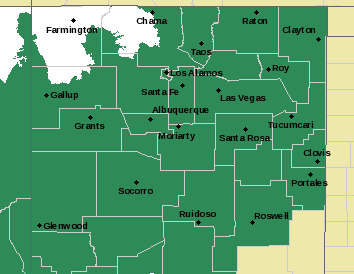 Strong-High Winds Saturday Into Monday. This Mornings GFS 700 MB Wind Speed (Knots) Forecast. 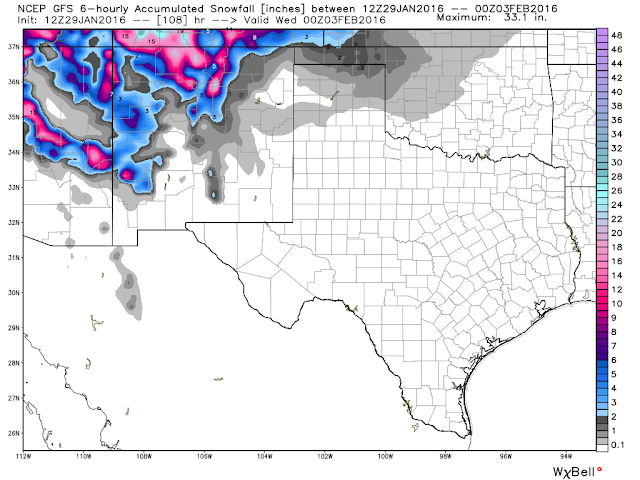 Valid @ 5 AM MST Monday, February 1, 2016. This Mornings GFS Atmospheric Sounding (Near Las Cruces, NM) Forecast. Current model forecasts indicate that strong southwesterly winds will rake the local area Saturday into Monday. 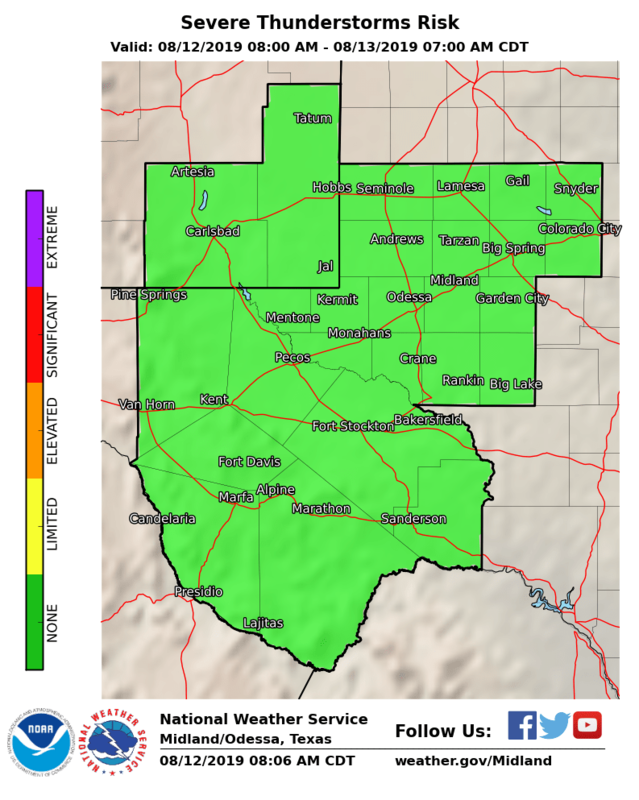 Southwesterly to westerly winds are forecast to pick up today across the Guadalupe Mountains and increase Saturday into Monday. By Monday morning near sunrise the GFS forecast model (see the two graphics above) depict winds at the 700 millibar or 10,000' level to increase to 60-70 knots or 69 to 81 mph. These very strong mid-level winds will overspread southern and southeastern New Mexico on Monday. Warm daytime temperatures, mixing of the atmospheric winds downward from the jet stream level to the surface, and a very tight surface pressure gradient ahead of the approaching strong winter storm will all combine to generate strong to high winds locally Saturday into Monday. 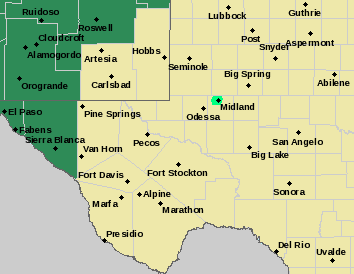 Wind gusts across the Guadalupe Mountains today will be near 50 mph, A High Wind Watch is in effect for the Guadalupe Mountains of Eddy and Culberson Counties from Saturday through Tuesday. 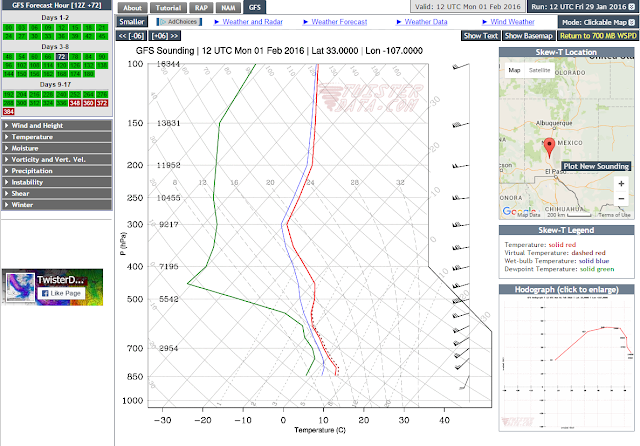 Southwesterly to westerly winds are forecast to gust between 60-80 mph during this time. Winter Returns To New Mexico. 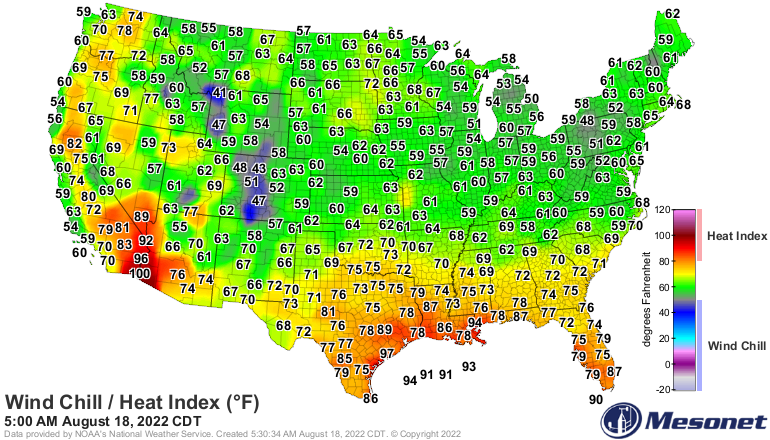 This Mornings GFS Surface Map Forecast. 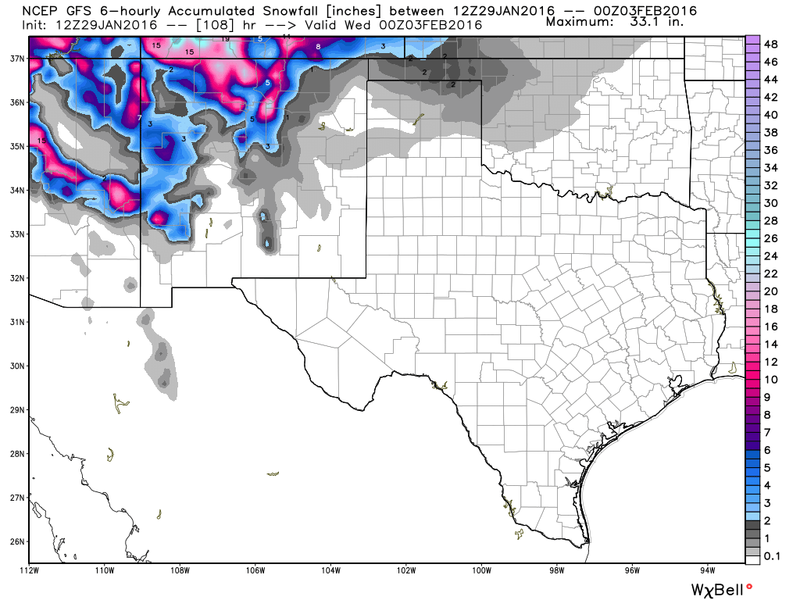 Heavy snows will return to parts of New Mexico this weekend into Tuesday. 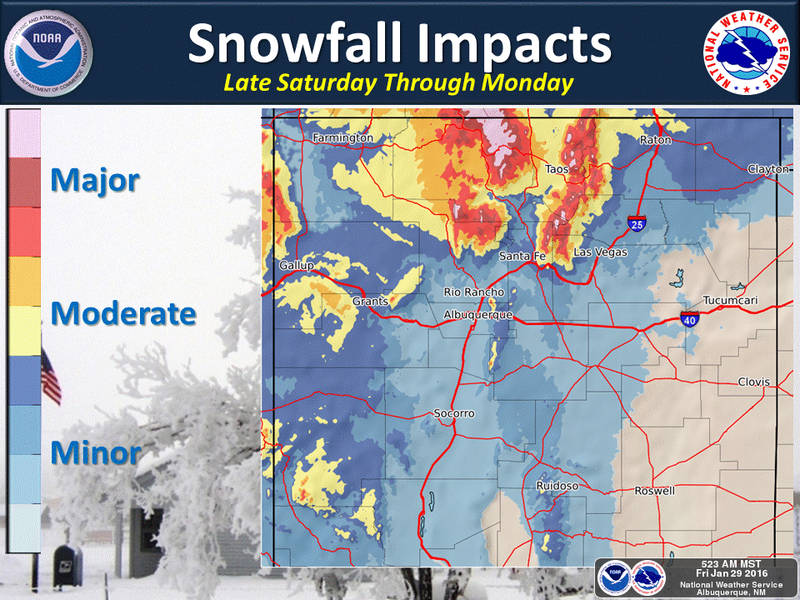 At this time it appears that the greatest impacts will occur over the western mountains, northwestern and northern parts of the state as well across the central mountain chain. 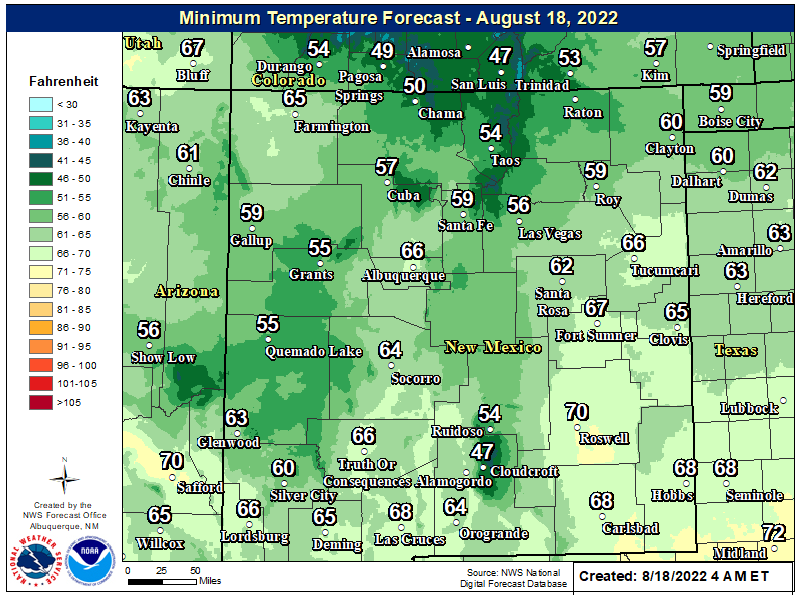 Meanwhile in southern and southeastern New Mexico and parts of West Texas warm dry and windy weather will prevail today ahead of the storm with a turn to colder weather by Monday night into Tuesday. A change for some rain and snow will also be in the cards Monday night into Tuesday. 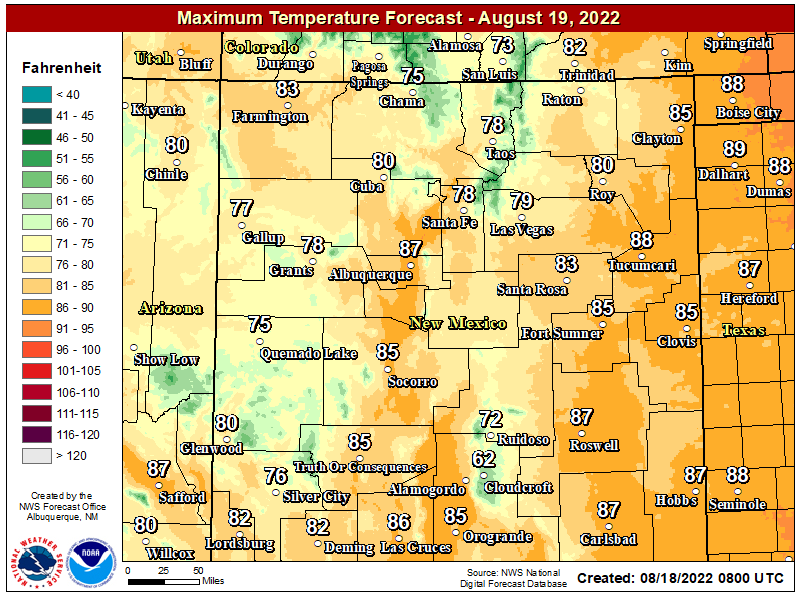 Our biggest concerns for the immediate future will be the High Fire Danger and strong southwesterly winds that may produce areas of blowing dust at times Saturday afternoon into Monday. 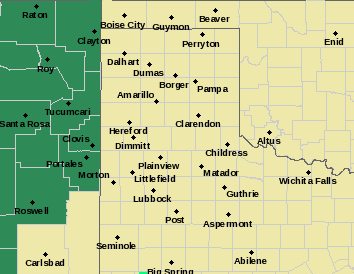 Across the southeastern plains southwesterly to westerly winds are forecast to gust up to around 40 mph on Saturday, 40-50 mph on Sunday, and in the 50-60 mph range on Monday. 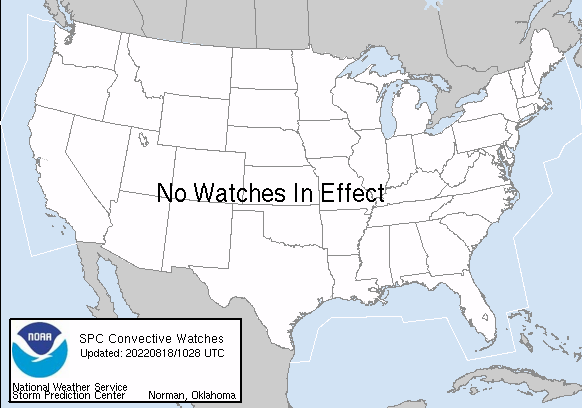 A Fire Weather Watch is in effect for Saturday. 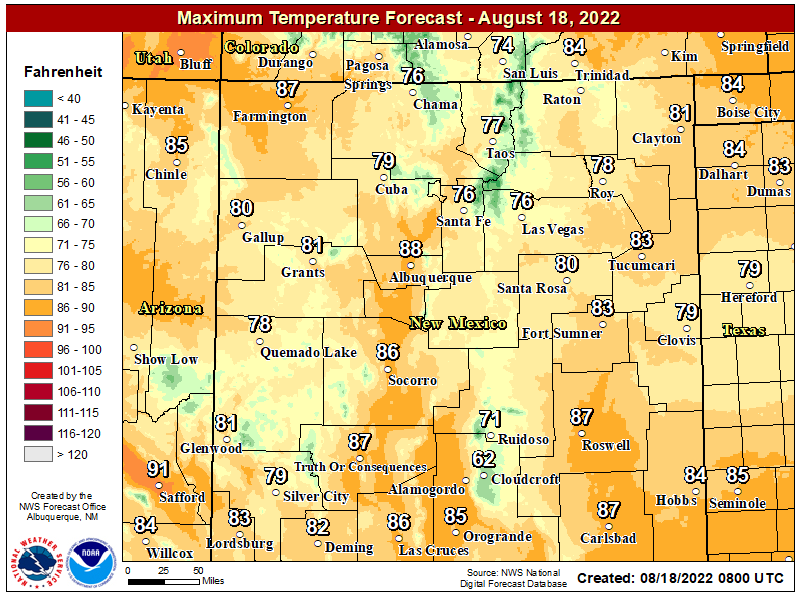 Daytime high temperatures will run some 10 to 20 degrees above normal today into Sunday will readings in the 70's. 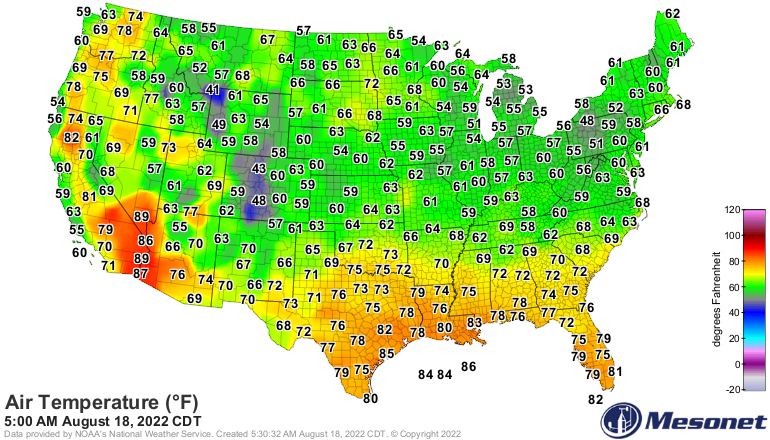 A few of us may get close to the 80-degree mark Saturday and Sunday. Mondays highs will drop behind an approaching cold front with readings in the 50's and by Tuesday we will see readings in the 40's if not colder. 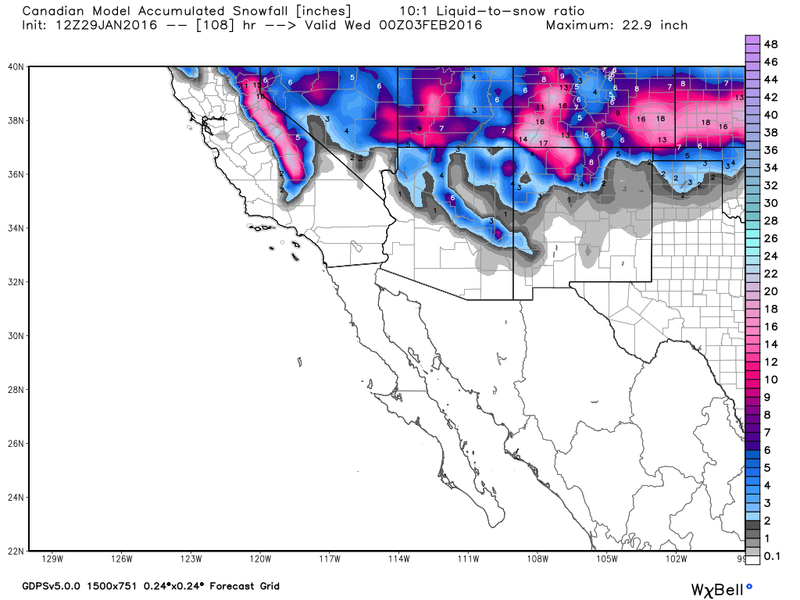 This Mornings 12Z/5 AM MST GFS Accumulated Snowfall Forecasts. This Mornings Canadian (GEM) Accumulated Snowfall Forecast. This Mornings WPC Snowfall (Worst Case Scenario) Forecast. Please remember that these snowfall forecasts may and in all likelihood will change between now and Tuesday. This as the models settle down and get a better analysis and forecast in the strength and track on the approaching winter storm.